As part of the mission of Christ Lutheran Church, we strive to connect to God, connect to one another, and connect to the community. Below are some ways that CLC members support this mission. 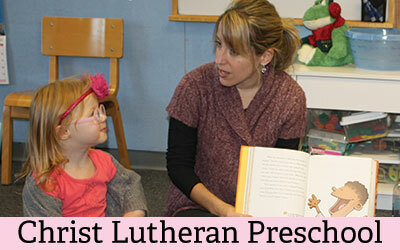 Christian education for youth is vital to Christ Lutheran. Children of all ages have many opportunities to connect to God, one another, and the community through Sunday School and special activities. Throughout the year, Christ Lutheran offers many opportunities to connect to God through Bible study and fellowship. Music is an important part of our worship services. We have a senior choir and a praise band that lead worship through a ministry of music. Various committees at Christ Lutheran take responsibility for upholding our mission of Making Christ Known. There is need in every community, and Christ Lutheran works to aid the Jeffersontown and Louisville communities through a variety of activities that have a direct impact on those most in need.